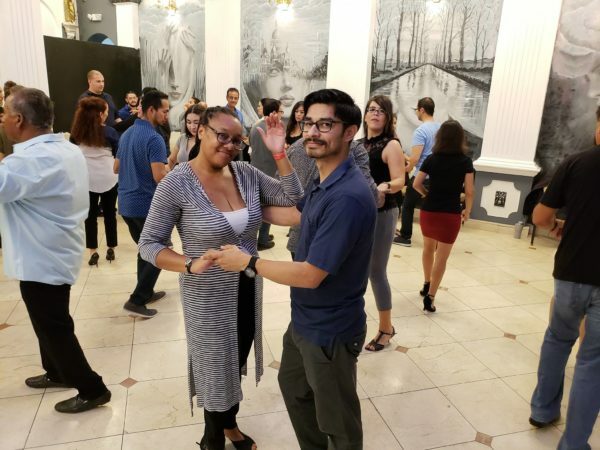 OC Salsa Students Shows: Salsa Team and Bachata Team. These students have been learning an dpracrticing these routines since November. They keep getting better and better and they are ready to showcase their hard work. Come cheer for them! 10pm 2 Shows: Bachata Students Team and Salsa Students Team. Tacos outside by Los Tercos (tacos, tortas, burritos quesadillas, yum). Plenty of free parking. Wood floor and great sound system. Come check it out and let s have a lot of fun at our friendly social.